The great disaster of Christendom is people's fight for religious denominated truth which is blinding them to the TRUTH of the GOSPEL resulting in Christendom's failure to stand for GOSPEL TRUTH! Christendom has been tricked by the spirit of religion. As the TRUTH...Jesus...confronted the religious spirited people during His earth walk, the TRUTH of the GOSPEL confronts religious denominated truth today and religious truth confronts GOSPEL TRUTH. The difference is, while religious truth confrontation is mean spirited and demeaning in confronting the GRACE TRUTH GOSPEL...the GRACE TRUTH GOSPEL is lovingly spirited in confronting religious denominated truth. Within Christendom today the conveniences of accommodating religious truth far outweighs the acceptance of the freedom of the Grace Truth Gospel in that that manipulating controllers lose their power and control over the people. 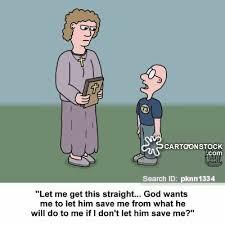 Religious distortion of Jesus is a distortion of His Gospel of Grace and a distortion of God! 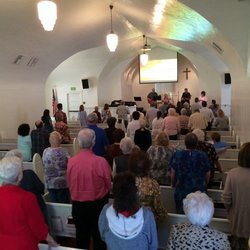 God is not complicated...It took THEOLOGIAN'S THEOLOGICAL rendering the Bible as the "Final Authority" and their interpretation of the Bible to complicate God...to where the Bible and God needs to be explained by the denominated THEOLOGIAN to to keep the people in a particular denominated corral! The theologian's theology has theologized God to where people are dependent on the theologian to understand God's purpose for the Community of Humanity and that purpose is misunderstood because of the denominated theologians misunderstood slant in his interpretation of the Bible as to who and what God is. Theology simply means...the way we think about and understand God and His Gospel. Theologians or the writers of the Bible cannot give us who God is...what God is like...for they are mere men and no man knows the mind of God or His ways! Standing For Truth is Standing for Jesus, not Standing for man-made denominational beliefs based on misinterpretation of the bible. . In some Sunday-Go-Meetings the Bible is read, and if that causes people to seek its TRUTH then some good is accomplished. 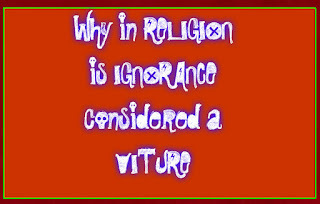 On the other hand, if it means that people are coerced into following denominated interpretations, denominated doctrines, or man-made traditions through skill of propaganda, or the emotional appeal of the denominated seminarian, and thus induced to support man-made theories based upon the use of out of context Scripture, then it is to the pew-warmers a great disadvantage which leaves them vulnerable to deception. It maters not the name tag that is over the church door, any denomination that practices spiritual manipulation in abusing Scripture to further their own traditional beliefs, uphold denominational doctrines and man-made constitutions, does not honor God nor the Scripture. 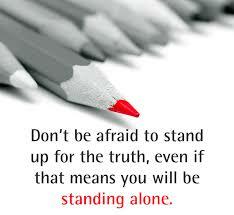 Should we Always Accept what we Believe as Truth to be Truth? I now have been on this earth journey for 66 years, for 51 of those years I have been striving to be God-conscious. For some 30 of those 51 years I was striving to be God-conscious by being sin-conscious trying not to commit what was taught me as sin and in the effort became so sin-conscious that I obtained the wrong aspect of who God is. I was religionized by sin-consciousness to believe God would forsake me because He could not look upon sin, therefore my sinning separated me from God, and if I died without repenting of that sin I would end up in the torture chamber of hell, suffering agonizing torture for all eternity. Yet I was told that God is Love and that He loved me with a never ending love...as I began to think for myself the pieces of this religious puzzle could not fit together in my understanding. I listened to sermons that said that the answer to all my problems is to accept Jesus because my problems would disappear and the journey would be easier. Denominated segregated club-house buildings of exclusion helps club-members who belong to the same denominated-tagged club-house building to feel good about themselves because they are "in" with people in their club of choice. The attitude of "My club is better than your club," fosters the falsehood feeling that allows them to think they have fulfilled the religious duties to find favor of God. The thing that they feel they have accomplished is..."I have met all the requirements of belonging to my denominated club-house of choice and you who are members of other clubhouses refuse not to believe or meet the requirements of the better clubhouse that I am a member of"...this makes them feel good about themselves and their thinking is...it puts them in better favor with God! Grace is amazing, wondrous and the good-news gospel, yet somehow completely disagreeable to the grace-butting religious system. Grace is the Love which covers a multitude of sins. It does not diminish God's abhorrence of sin. It just takes the finished work of Jesus and applies it once-and-for-all to people's sins...past...present...and future. Then Grace abundantly pours out forgiveness, kindness, acceptance and love without regard for one's performance. When believers err in sin...or are deluded by false doctrine...God's hatred of these things are not lessened. But neither is His love and grace lessened to the people that are involved in these things and He does not forsake them. The problem is, people live like that is the case because of man-made religious beliefs and misinterpretation of the scriptures. Which Road are we Travelling. 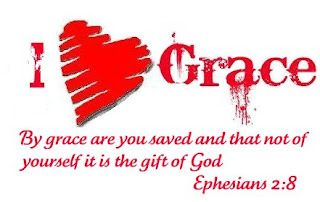 God's GRACE and LOVE is a free gift bestowed upon man wholly and solely by God! There are numerous detours filled with religious distractions to be avoided that are side-roads of denominated man-made-interpretations of the Bible. Everything that you are told is Gospel truth, may neither be the truth nor the Gospel. This narrow spiritual Highway traveled by God lovers is not traveled by religious lovers because they ride the religious side-roads with detours to take them to the other side-roads because they are broad roads traveled by the religious masses. Also this phenomenal narrow spiritual Highway is religion-less because allegiance is to the WAY and not religion! 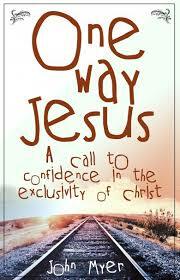 Though to WAY is less traveled, there is room for everyone who will follow Jesus. 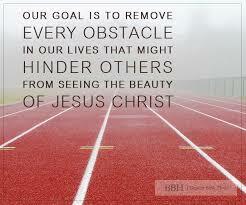 The Gospel Goal...for many...is the escaping of the Tribulation and the Escaping of Hell to Gain Heaven. I grew up hearing that the Gospel is "Good News"...however...the "Good News" was always overshadowed by "Bad News"! My response, as well as many people of my era, to the Gospel was initiated by fear of God and the bad things He would do...not the love of God nor His goodness. It seemed that the crux of the Gospel was not the Grace of God and the freedom it brings, rather the Gospel was based on the fear of God and the hell it brings! 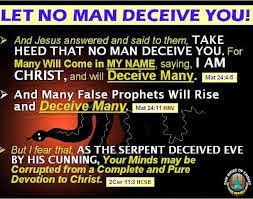 The fear of hell and damnation scared the living daylights out of people and because of the manipulative tactics, the judgement and condemnation of the preacher and one's thinking that the preacher was the mouth piece of God speaking the truth of God, one accepted fear-mongering tactics as the Gospel.